The Governor of the Central Bank of Nigeria (CBN), Sanusi Lamido Sanusi, has threatened to remove bank executives who are found to have been “cooking the books”. Sanusi, who spoke in an interview with the Financial Times of London published yesterday, said he would not hesitate to remove any erring CEO after the ongoing audit. The CBN and the Nigeria Deposit Insurance Corporation (NDIC) have already begun a joint audit of banks to ascertain the level of their exposure to margin loans. CBN has also directed banks to submit details of their total exposure to the companies in the energy sector – namely upstream, downstream and oil service companies as at May 31, 2009. A margin loan is a facility given to an investor for the purpose of buying securities. The loan is secured with the investors' collateral, which is usually a portfolio of securities. An investor uses a margin loan when he or she does not have enough money to buy securities or otherwise takes advantage of a potentially profitable rise in securities prices. Banks' exposure to margin loans has been estimated at N800 billion by the CBN, but stockbrokers claim it is about N1.5 trillion. The on-going investigations into the books of the 24 banks in the country, known in banking parlance as “special examination”, is different from the routine investigation, which is conducted yearly either by the CBN or the NDIC. Sanusi told FT that the joint investigation, which commenced with the audit of First Bank of Nigeria Plc, would be concluded by December, or latest by March next year. He said: “I have launched it (the bank audit). What I would like to do is have CBN and NDIC to go into every bank, including those we don't think have problems. I would start with First Bank among the first batch of banks to go and actually do an asset quality audit and a capital audit and bring a report. “We would then sit down and dimension. Ideally, I would like to break them into three. We would like to break them into the banks which are really marginally affected by the margin loan thing. The second category - and that would be the largest number - would be banks who have some margin loan exposure but who have enough capital to deal with it, who really have not exhibited any kind of liquidity pressures in their balance sheets. He also hinted of plans to impose more stringent disclosure regulations. “I certainly would expect that long before December we will begin to apply prudential accounting standards and we will continue to increase the disclosure requirements for banks. Even before International Financial Reporting Standard (IFRS), we will decide what we think banks should disclose from June and from September when they publish their accounts and what information they should make public. We might, even before the December accounts, require certain things to be disclosed. How much is disclosed between now and December depends on how much risk we perceive to be to the system with too much information in public hands,” he said. Sanusi said he would get the Nigerian Stock Exchange to agree on the disclosure requirements for listing, not just for banks but for all public companies so we improve information and transparency. On how to make CBN regain its credibility, he said the immediate problems (liquidity, toxic assets, risk management systems, risk-based supervision, how to deal with subsidiaries, cross-border transactions and the likes) would have to be dealt with first. He said it is only after all these issues have been dealt with that the market would begin to have confidence in the regulator. 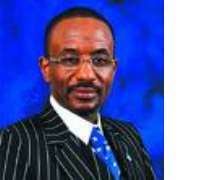 Sanusi said his primary responsibility is to restore health and confidence in the system and “not hasten its death. The first thing obviously is that banks have to recognise losses if they are losses. Sanusi said he would like to bring down interest rates and stabilise the Naira. The latter, he said, would depend on what happens to the oil price, and revenues and capital flows. He said there was no systemic risk to the banking system. “I don't see a risk that we cannot manage. I think there are stress points, and we're trying to dimension those stress points. We will release information to the market. Some of that information will be released by the banks themselves. We will ask the banks to release that information. We appeal for a little time. We appeal for confidence and trust. But we don't think there's any reason to panic,” he said. Meanwhile, the CBN has given the 24 banks up till this Friday to summit to its Banking Supervision department all details of their exposure to the energy sector. Also yesterday, Nigeria's economic growth rate measured by Gross Domestic Product (GDP) was put at 6.3 per cent for the first quarter; January to March 2009. That was 30 basis points above the 5.7 per cent GDP, the country recorded in the comparable period of 2008. According to the provisional data from the National Bureau of Statistics (NBS) as contained in the Economic Report for the First Quarter 2009, released by the CBN yesterday, the projected growth was driven mainly by the non-oil sector, particularly agriculture, which constituted 35.8 per cent of total GDP and contributed 2.2 per cent to the growth in real GDP in the quarter. The CBN had projected growth rate of between 5 and 6 per cent for the whole of 2009. Total federally-collected revenue in the first quarter, 2009, according to the report, stood at N1. 183 trillion, representing a decline of 10.8 and 31.9 per cent from the proportionate 2009 budget estimate and the preceding quarter's level. At N842.26 billion, oil receipts constituted 71.2 per cent of the total revenue, representing an increase of 8.2 per cent over the budget estimate, but a decline of 39.5 per cent from the level in the preceding quarter. The report stated that the fall in oil receipts relative to the budget estimate resulted from the decline in crude oil and gas sales as well as petroleum profit tax and royalties. Non-oil receipts, it further stated, stood at N341.46 billion or 28.9 per cent of the total, lower than the receipts in the preceding quarter and the budget estimate by 1.6 and 37.7 per cent respectively. Inflation rate for the first quarter, on a year-on-year basis, was 14.4 per cent, compared with 15.1 and 7.8 per cent recorded at the end of the preceding quarter and the corresponding quarter 2008. Inflation rate on a twelve-month moving average basis for the first quarter, was put at 13.1 per cent, compared with 11.6 and 5.8 per cent recorded in the preceding quarter and the corresponding quarter, 2008. Foreign exchange inflow and outflow through the CBN was put at $5.72 billion and $11.26 billion, resulting in a net outflow of $5.53 billion during the quarter, while foreign exchange sales by the apex bank to the authorised dealers amounted to $7.57 billion in the review period.